How Do I Upload My Own Images With A Cricut Machine? 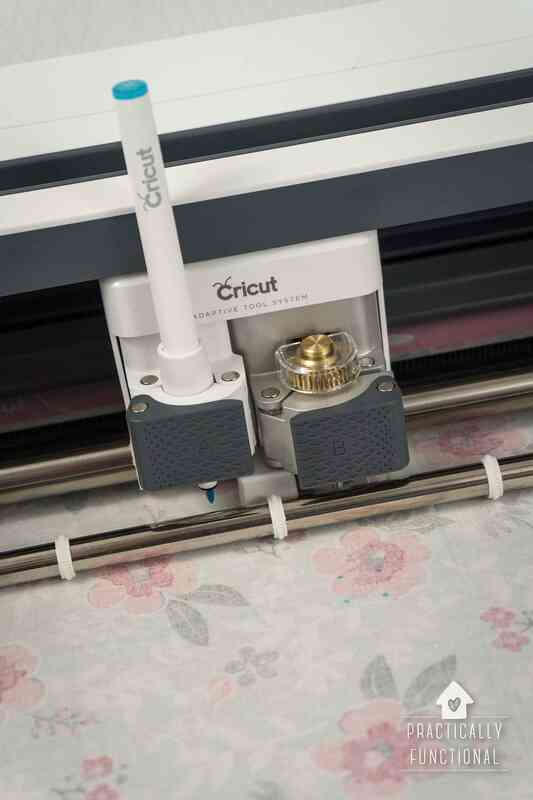 Home > Cricut > Cricut How To's > How Do I Upload My Own Images With A Cricut Machine? One of the most common questions from people who have a brand new Cricut machine (or are thinking of getting one) is: Can I upload my own images with a Cricut machine? Well, the answer is YES! 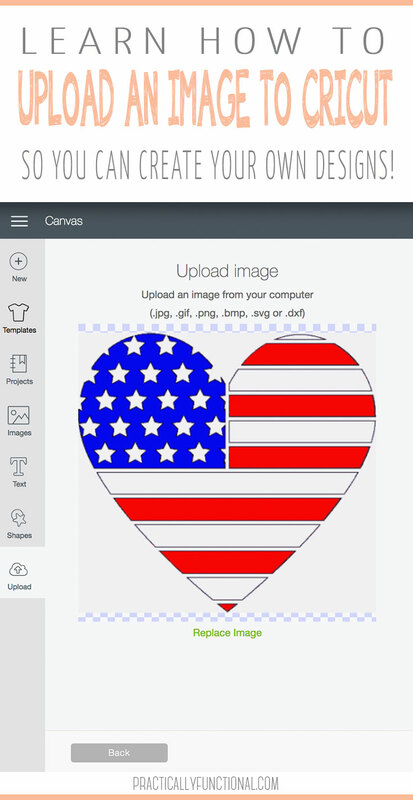 You can upload your own images, designs, and graphics to Cricut Design Space, then cut them out with your machine. 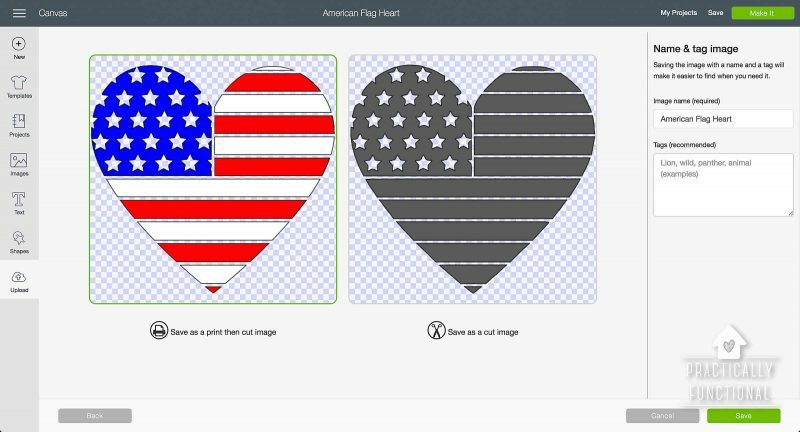 You can even upload photos and use the Print & Cut feature to make projects using your very own photos! Today I’m going to show you how to upload a basic image like a jpeg or png, and how to upload a vector file if you have an image that has multiple layers. 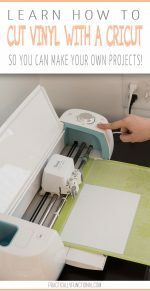 If you have a brand new Cricut, check out these other great posts that will help introduce you to your new machine! 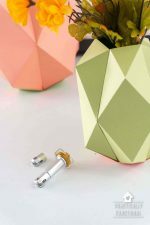 And check out my Cricut project gallery for tons of Cricut project ideas! Being able to upload your own images gives you tons of freedom to create anything you want with your Cricut. 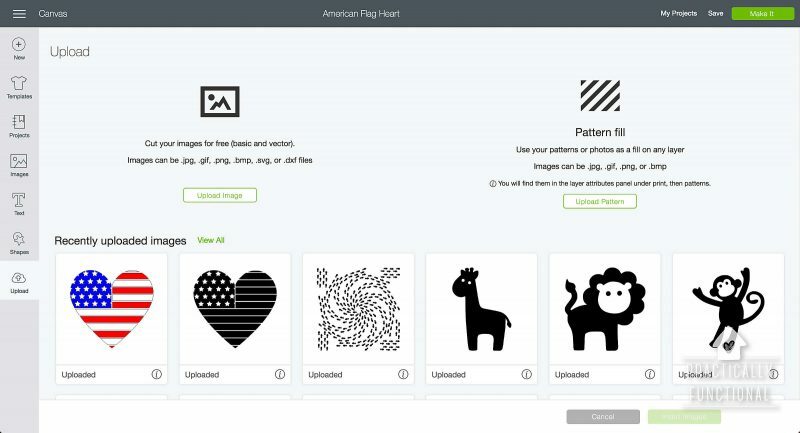 You can upload anything from simple, flat jpeg images to complex multi-layer vector files and Cricut Design Space will automatically process them so you can print, cut, emboss, or use them however you want in your Cricut project! 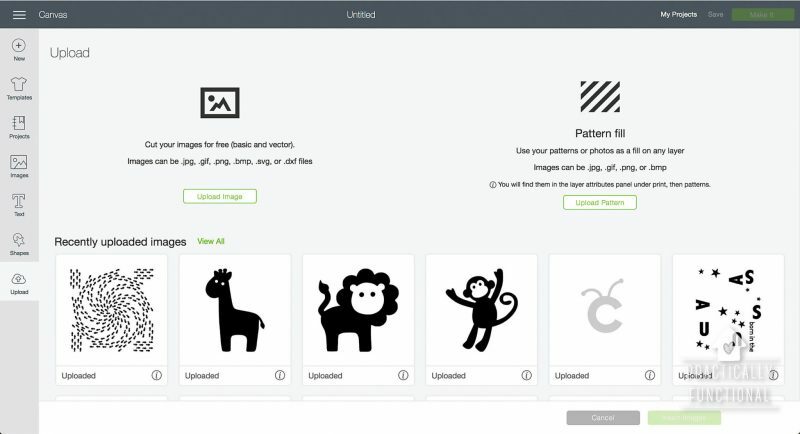 To upload any image to Cricut Design Space, first open Cricut Design Space in your web browser. Click the green “New Project” button in the upper right hand corner to create a blank project. At the bottom of the toolbar on the left side of the project is an “Upload” icon. Click that to open the Upload tab. 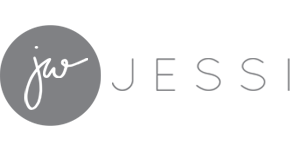 From here you can upload either a basic image (a single-layer image such as .jpg, .gif, .bmp, or .png) or a vector image (a multi-layer image such as .svg or .dxf). I created a simple graphic in Adobe Illustrator and saved it as both a jpg and a svg file so I can show you how to upload a basic image and a vector image to Cricut Design Space. Most images you see on the web are basic images, meaning that they are flat, single-layer images. They can have multiple colors and even appear to be 3D, but the actual image itself is made with pixels of different colors to give the appearance of shading or depth. These single-layer images can be created in programs like Adobe Photoshop, PicMonkey, Canva, and other simple photo editing software. Photos from your phone or camera are also basic, flat images. You can upload .jpg, .gif, .bmp, and .png files to Cricut Design Space and they will all be uploaded as a single layer. Here’s how to upload a basic image. 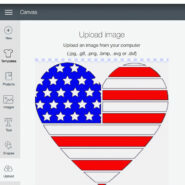 From the Upload tab in Cricut Design Space, click the green and white “Upload Image” button. Then either drag and drop an image file into the window, or click the green and white “Browse” button to open an image file. For this example I chose “Simple” because it’s a very simple design. Then click the green “Continue” button. Select & Erase: This is like the magic wand tool in PhotoShop; it allows you to select an area or specific color in your uploaded image and erase it. If you click the “Advanced Options” button you can change the tolerance. 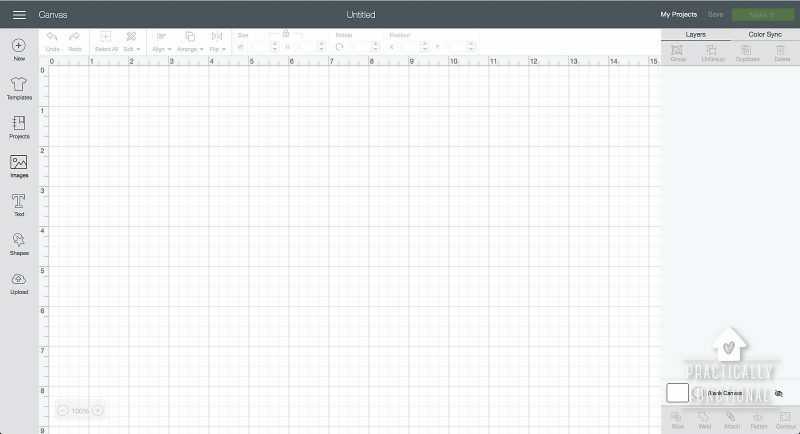 Erase: This is just a standard eraser tool. You can change the size of your eraser using the slider on the left. Crop: You can crop away entire areas of your image using the crop tool. I use “Select & Erase” for about 90% of the images I upload to Cricut Design Space; it’s really powerful, and really smart! For this example I clicked on the background of the image and it erased the entire background! I continued clicking in the middle of each star to erase the background from the stars, and then I was done. Once you have erased all parts of the image that you don’t want cut out, click the green “Continue” button. The next step is to decide what type of image you have, and give it a name. You can save your uploaded image as a Print & Cut image, or just as Cut image. If your original image has details in it (like a photo of your kids that you want to print first, then cut, or something where the colors are important), save it as Print & Cut. If it is just a shape that you want to cut out, you can save it as a Cut image. Give your image a name and add tags if you want, then click the green “Save” button. Your uploaded image will appear in the Recently Uploaded Images section at the bottom of the Upload tab. 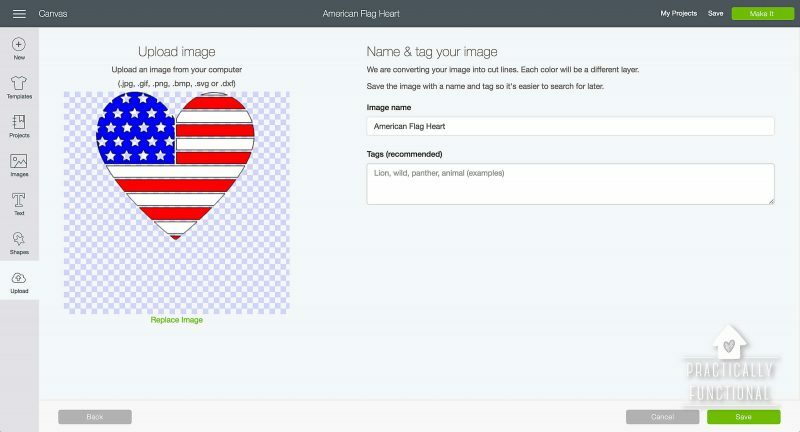 Just select your uploaded image and click the green “Insert Images” button to add it to your project! Vector images are image files with multiple layers, usually created in a program like Adobe Illustrator. In this example, the left lobe of the heart with the stars is one layer so that I can cut it out of blue material, and the stripes are split into two layers. Every other stripe is in one layer so it can be cut out of red material, and the other stripes are a separate layer so they can be cut out of white material. 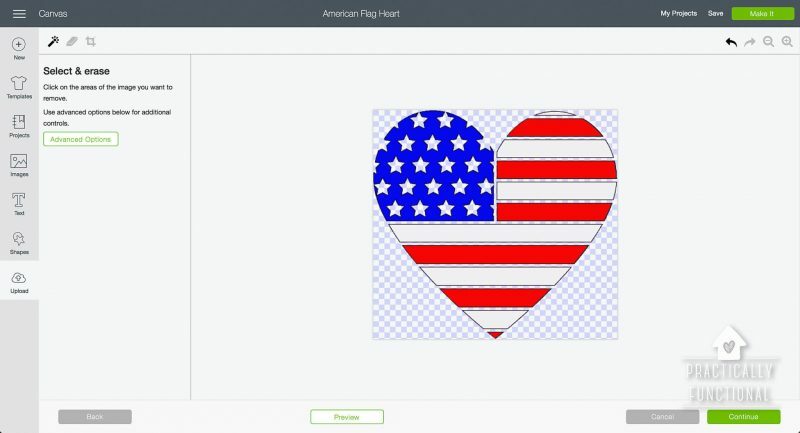 You can upload .svg and .dxf files to Cricut Design Space and they will all be uploaded as multiple layers with each image layer or color being separated into separate layers in Design Space. 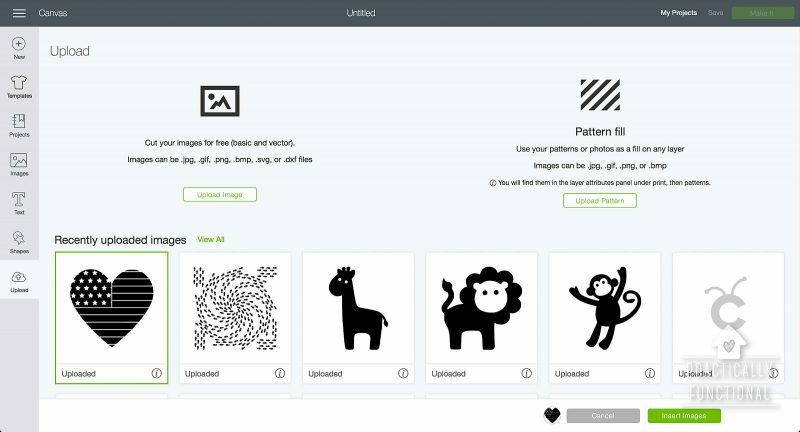 Here’s how to upload a vector image. 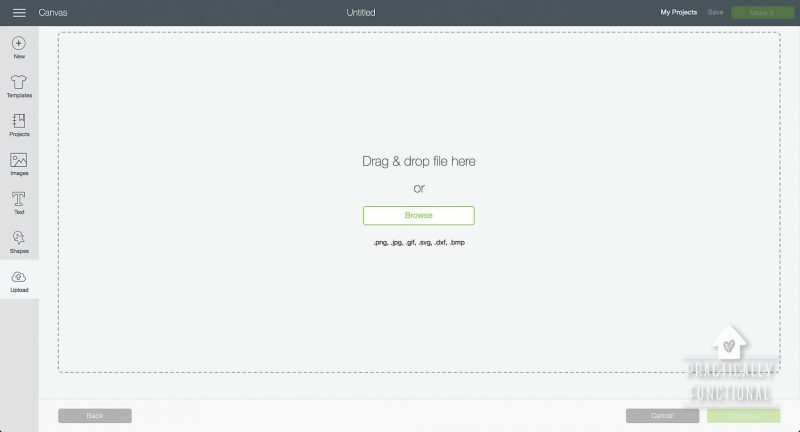 From the Upload tab in Cricut Design Space, click the green and white “Upload Image” button. 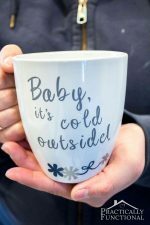 Because vector image files contain all of the image details within the file itself, Cricut Design Space can actually process these images for you automatically without you needing to do anything! You will see a preview of your image on the left, and after it’s uploaded each layer or color will be it’s own layer. Just give your image a name and add tags if you wish, then click the green “Save” button. Select your uploaded image from the Recently Uploaded Images section, then click the green “Insert Images” button to add it to your project! 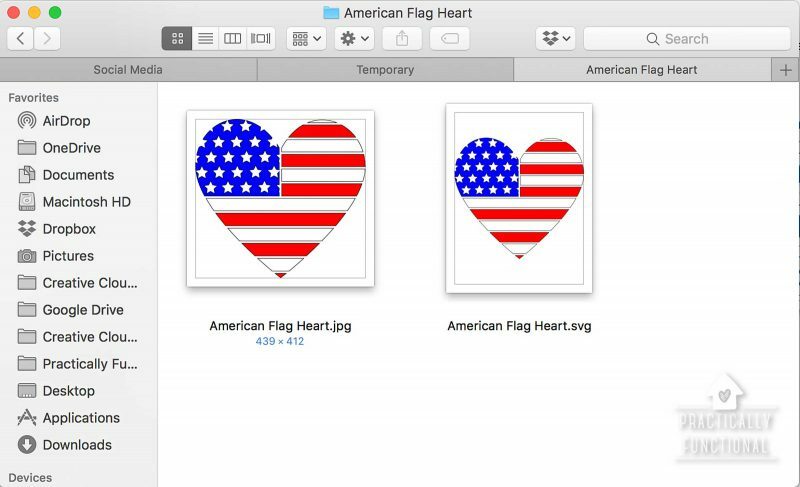 You’ll notice that when you insert a basic image it will appear in black like the heart on the left, but the vector image will appear in whatever colors were used in the original vector file. The basic image will be one single layer in the Layers toolbar on the right, but the vector image will be split into layers or colors. 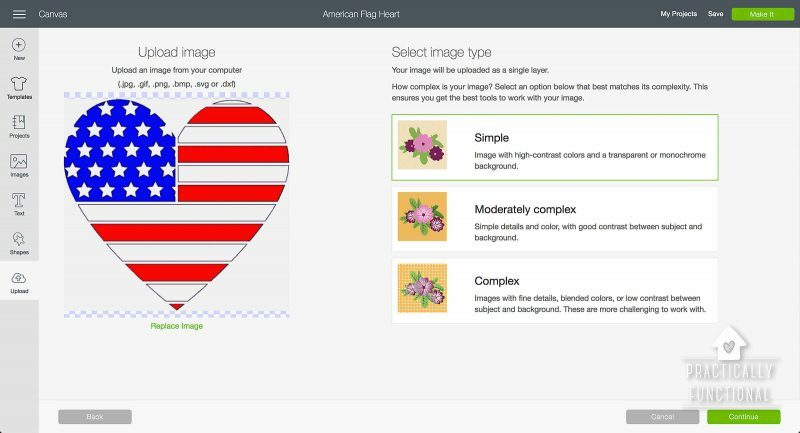 You can see that the colored heart is one layer, but each “shape” is automatically shaded in one of three colors (red, white, and blue). 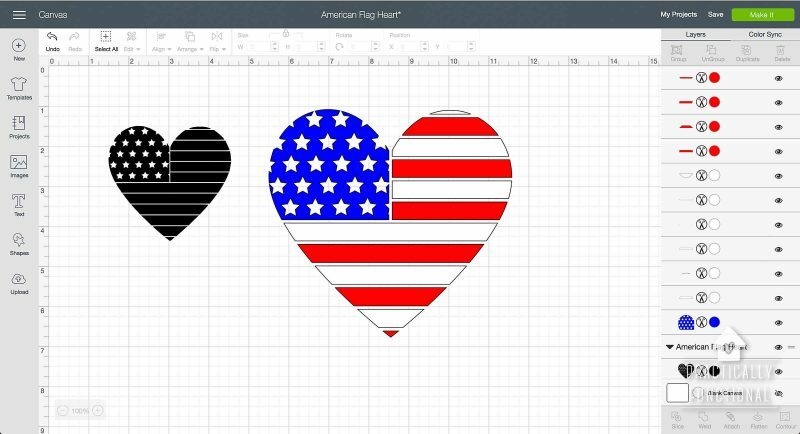 In Cricut Design Space, different colors act as “layers”, so when you go to cut this design, it will automatically split red, white, blue, and black into four different “cuts” so that you can cut them out of different colors or materials if you wish. If the SVG file you upload is all one color, Cricut Design Space will instead automatically split each layer into a separate layer/group in your project. 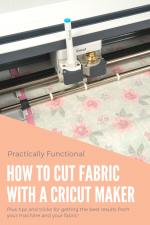 Vector images are a lot more powerful if you are planning to cut multiple colors or materials because the layers automatically translate into layers in Cricut Design Space. But for simple cut or Print & Cut projects, uploading a basic image will work just fine!